Institutionalised Separation looks at inequity within selective schools and their impact on other schools, focussing on NSW. It presents evidence of dramatic, and deepening, educational inequality. with only a few exceptions. Fully selective NSW high schools comprise six of the ten most socio-educationally advantaged secondary schools in the state. The rest are all high-fee private schools. An average of 73 per cent of selective school students came from the highest quarter of socio-educational advantage in 2016. Only 2 per cent of students in fully selective schools came from the lowest quarter. Selective schools also appear to create a “brain drain” from non-selective public schools, depriving them of their most capable, highest-achieving students. Selective schools comprise 11% of government schools, yet enrol almost half of the high achievers. 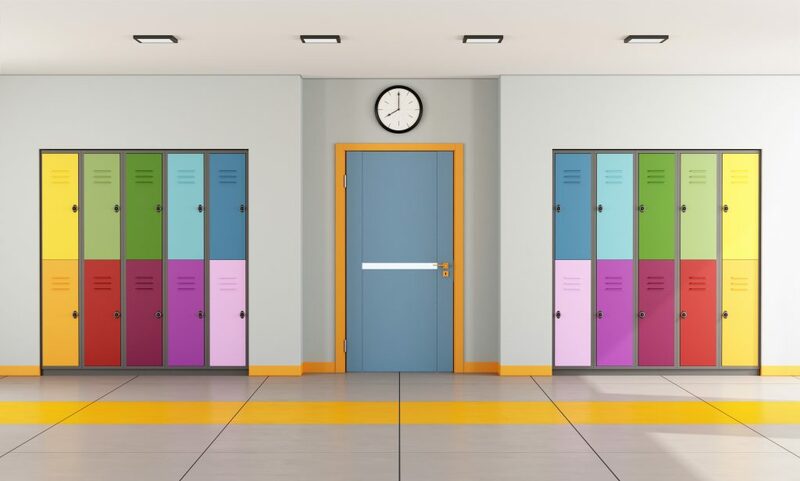 The data suggests the dynamics of our school system — instead of promoting inclusion and equity — are increasingly putting socio-educationally advantaged students in a ‘class of their own’. These trends should concern policymakers, parents and students, and should inform the NSW review of the selective school enrolment processes. The evidence presented in this paper requires us to reconsider the role of selectivity in our schools. Concentrating achievement and advantage in selective schools has come at a cost for students and schools left behind, and might not be best for students in selective schools either. The time has come to rethink and potentially scale back the segregation of high advantaged, high achieving students. A diverse mix of students in schools strengthens our entire education system. Such diversity is one of the biggest gifts schooling can offer our children and our society. Unless the dynamics presented in this paper are recognised and addressed we won’t improve equity for all. 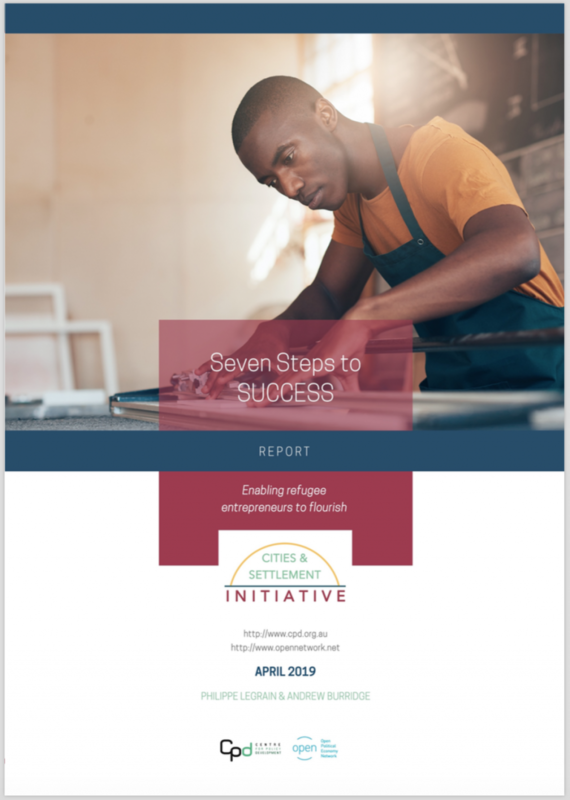 The benefits of improved equity are substantial and widespread. But the chances of achieving much-needed improvement in student achievement is diminished when we aggregate the most disadvantaged students — whatever their background — in schools which are already struggling. This discussion paper uses data from the My School website, including the Index of Community Socio-Educational Advantage (ICSEA). Rather than focusing on policy implications, it aims to diagnose a problem and prompt debate. While most of the analysis refers to NSW– which hosts 47 of Australia’s 55 selective schools – similar issues are emerging in other states. 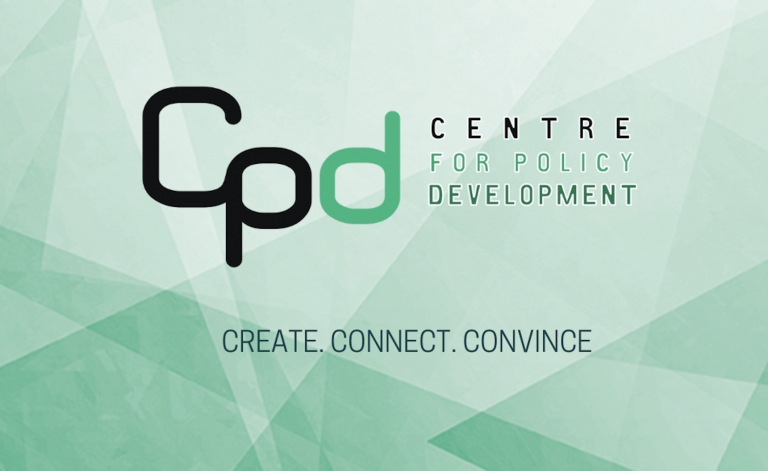 This paper is part of CPD’s In a Class of Their Own series on disadvantage in Australia’s schools. The series explores different facets of Australia’s contemporary school system and how it segregates and divides students, families and communities. The first paper in this series, A Creeping Indigenous Separation, focussed on disadvantage related to Indigenous students. 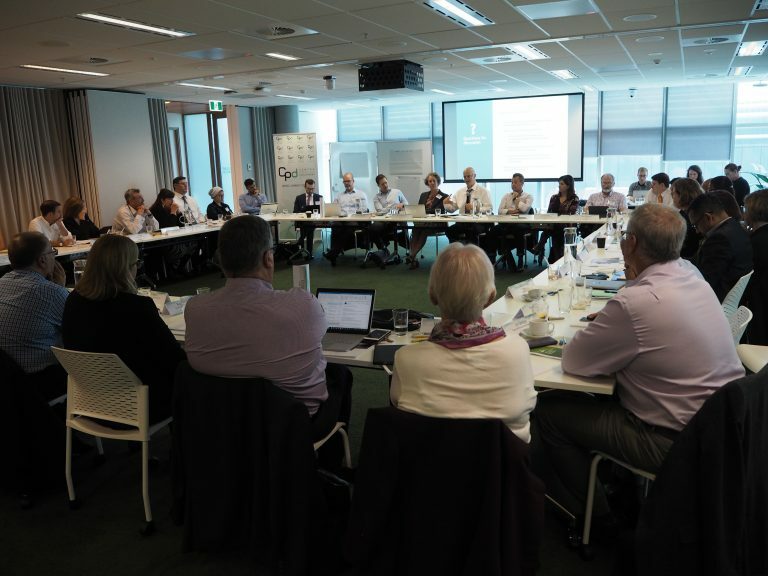 In a Class of Their Own builds on CPD’s reports on the funding and composition of Australia’s schools. Uneven Playing Field (2016) and Losing the Game (2017) revealed a growing divide between advantaged and disadvantaged students, and richer and poorer schools. 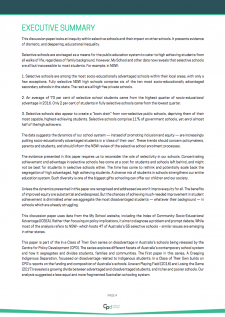 Our analysis suggested a less equal and more fragmented Australian schooling system. 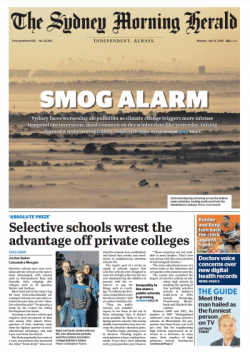 Time to seriously review selective schools, The Sydney Morning Herald, Christina Ho and Chris Bonnor. ‘Absolute prize’: Why selective schools are eclipsing private schools, The Sydney Morning Herald, Jordan Baker. Focus, ABC Radio Sydney, Cassie McCullagh. Selective schools must promote equity and inclusion, The Sydney Morning Herald, Editorial. 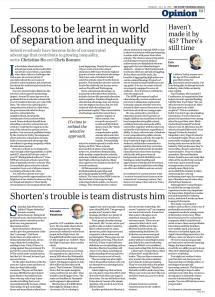 ‘I can see why people are worried’: Have we hit peak selective?, The Sydney Morning Herald, Jordan Baker.